What is a Risk Advisory Internship? Risk Advisory Services are meant to help a business or organization understand the risks it faces and minimize such risks. A risk advisory internship allows an individual to participate in risk advisory services, which constitute a large portion of the services provided by large auditing companies such as EY, KPMG, Deloitte, and PWCBig 4 Advisory FirmsThe Big 4 advisory firms are the key players in the public accounting industry. The Big 4 advisory firms are KMPG, Deloitte, PwC and EY. They offer a wide range of services such as accounting, management consultancy, taxation, risk assessment, and auditing. Learn about the services of the big four and their. Consider the following simplified example. John is an expert carpenter who wants to open a business that will manufacture and sell wooden furniture. To do so, John needs to set up a small factory and employ a dozen workers. Per government regulations, the factory must have certain safety features such as large industrial fans and a designated number of fire escapes. If the factory does not meet these requirements, the government can shut down the business. In addition, John must provide his workers with health insurance. John must also maintain books of accountsAudited Financial StatementsPublic companies are obligated by law to ensure that their financial statements are audited by a registered CPA. The purpose of the independent audit is to provide assurance that the management has presented financial statements that are free from material error. Audited financial statements help decision makers for his business, per the government’s accounting rules and regulations. Similarly, there exist a large number of regulations that John must abide by to run his business that he, being only a carpenter, does not know. John then decides to hire Mark, who provides risk advisory services to carpenters. Mark is an expert in the rules and regulations that govern the woodworking industry. This is, in essence, what Risk Advisory Services are. In the 21st century, a business or organization faces all kinds of risks. These include, but are not limited to, Operational Risk, Regulatory Risk, Strategic Risk, and Cyber Risk. 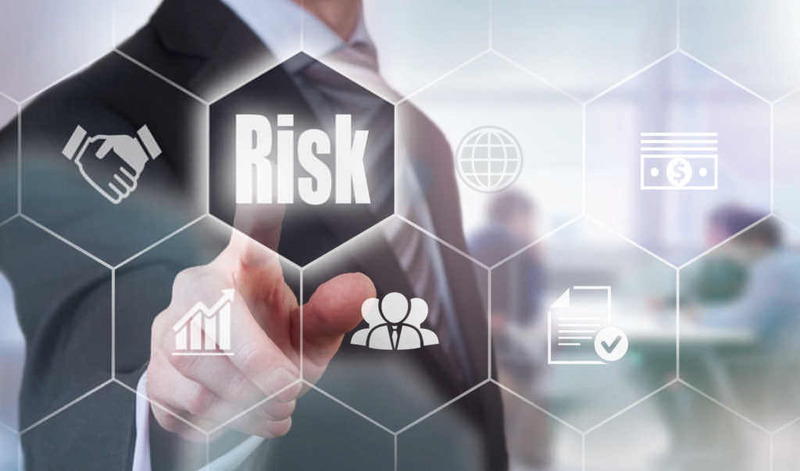 Operational Risk refers to risks associated with employee conduct, business processes, and overall operational structure. Regulatory Risk refers to risks associated with meeting and adhering to government regulations. Strategic Risk refers to risks undertaken by the organization related to the implementation of its business strategies. Cyber Risk is a modern phenomenon born in the 20th century and refers to risks associated with cyber-related threats. Therefore, depending on the intern’s interests and background, he or she can be assigned to one of these departments. For instance, an intern with a background in computer science may be assigned to the Cyber Risk division within a Risk Advisory Consultancy. In certain cases, an intern may also be assigned to a specific client. For example, an intern who previously worked in a fast food restaurant may have lots of experience in dealing with specific risks associated with such a business. In this case, the intern may be assigned to a fast food business client. A risk advisory internship may involve the intern maintaining and running, in some capacity, a compliance tracking database for a business. The database lists all the risks faced by a business and must be updated regularly. Proper running of a compliance tracker requires regular meetings and briefings, not just with the client, but also with the other risk managers and senior risk management professionals at the firm. I interned in the risk advisory department at Ernst & Young in the summer before my last year in college. I was assigned to understanding and tracking the regulatory risks faced by a manufacturer of industrial chemicals. As part of the internship, I worked in a six-person team who all reported to a team manager, who was in turn responsible to one of the firm’s partners. The risk advisory internship involved bi-weekly visits to the factory and daily phone calls with a Government department to seek clarifications regarding some regulations. After we developed a compliance tracking database, we needed to attend a final meeting with the client to give a full presentation on its structure and workings. It was a quite challenging internship, but one full of learning experiences. In the end, I was surprised by how much I learned about manufacturing industrial chemicals. Due diligence in project financeDue Diligence in Project FinanceDue diligence in project finance involves managing and reviewing the aspects related to a deal. Proper due diligence ensures no surprises arise in regard to a financial transaction. The process involves a comprehensive examination of the transaction and preparation of a credit appraisal note.